Working alone in his laboratory in Würzburg, Germany in November 1895, Wilhelm Röntgen discovered that invisible cathode rays, generated by electrostatic discharges from within an evacuated glass tube, caused a cardboard screen painted with barium platinocyanide to fluoresce. When he stepped into the line of rays to introduce a piece of lead, he was startled to see an image of his own skeleton shimmering on the fluorescent screen. Less than a year later X-rays, as they came to be known, were being used for diagnostic purposes all over the world. However, medical doctors were not the only people finding applications for these revolutionary new rays that enabled one to delve beneath the surface. Scientists and engineers began using X-rays for non-destructive testing of materials and structures, footwear salesmen used them for fitting shoes, while artists discovered the opportunities for using X-rays were virtually without limit. Recent exponents of X-ray art have included the Slovenian Stane Jagodič, best known for his enigmatic montages, and the Englishman Hugh Turvey, who created TV commercials for Credit Suisse using motion X-rays. Later next month the Radiological Society of North America (RSNA) will be marking their 100th annual meeting in Chicago. As part of the RSNA’s centenary celebrations, the X-ray artwork of Arie van ‘t Riet will be featured. The Dutch medical physicist, who is now retired, became an artist almost by accident when a colleague asked him to scan an oil painting that required very low X-ray energy levels. He subsequently scanned some flowers, digitized the X-ray film, imported the image into Photoshop, inverted it, and added colour. “And then, some people told me that’s art – and I became an artist,” he joked. 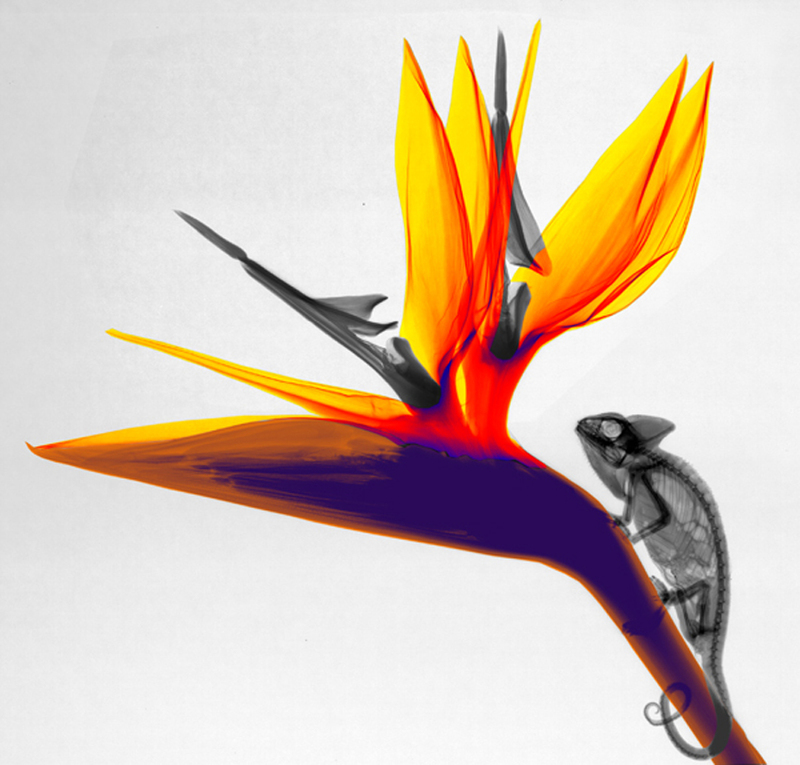 Having mastered floral images, Van ‘t Riet began experimenting, adding insects and other organisms such as fish, a chameleon, and even a monkey. 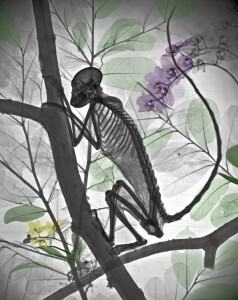 He is quick to stress that no living animals are used in his artwork, and all images are acquired using his own X-ray equipment. Van ‘t Riet explains that he does not add layers to create his images. He arranges the animals and plants in the scene, and then scans the whole composition in a single acquisition to create the image. The artist is hopeful that his creative images will highlight the intrinsic beauty of ordinary scenes and, as he says, “Looking with X-ray eyes” to foster appreciation of our natural world. Röntgen would surely have approved of this application of his invisible rays! I did actually come across his site when researching the story, Andrey, but decided against mentioning him, so thanks for providing this link. Not sure if you noticed that the reference link for NDT is to the Teledyne DALSA site?